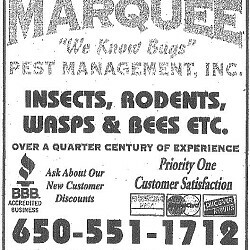 At Marquee Pest Management we bring over a quarter century of experience to the Bay Area, for all your residential, commercial and industrial needs. 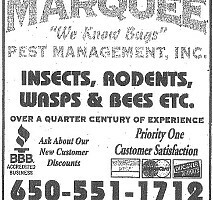 “We Know Bugs!" Our Priority One is Customer Satisfaction. 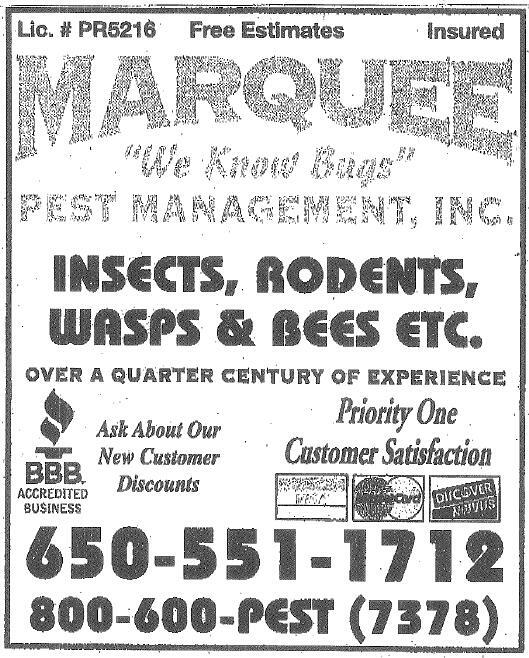 We are an accredited BBB business and are licensed and insured. Contact us now for a free estimate! And don't forget to ask us about our new customer discounts. We accept Visa, Master Card and Discover.